John Ratliff joined Slayton Search Partners in 2018 as a Vice President & Principal. John’s focus is on supporting Slayton partners with engagements in the consumer and industrial sectors, while also developing and expanding client relationships. John’s success in managing search execution positions him strategically to address client challenges and expand Slayton’s market presence. He has successfully managed search execution on a variety of mid-level and senior-level searches for clients ranging from the Fortune 500 to family-run businesses, Private Equity portfolio companies, and VC-backed high growth start-ups. Before joining the firm, John thrived at Stanton Chase International, where he developed and executed search work across leadership functions for industrial, engineering & construction, consumer products, and technology organizations. 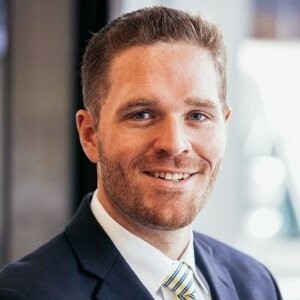 Previously, he began his career in third party logistics, where he led a team focused on securing strategic capacity through small carrier relationships.